Agents Required – Worldwide To Promote Emerging Brand Multipack Machines in USA, France, Poland, Bulgaria, Saudi Arabia, Ecuador, Peru, South Africa, Egypt, Indonesia, UAE, Vietnam, Pakistan, Uganda, Philippines, Greece, Columbia, Malaysia, Nigeria, Ethiopia, Lebanon, Kenya, Kuwait, Sri Lanka, Ghana, Nepal, Ukraine, Bangladesh, Australia, Switzerland, Sudan, Russia, Yemen, Iran, Morocco, Malawi, Thailand, Tanzania, Canada, Belarus, USA ,Cyprus, UAE ,Republic of Congo, Canada, Russia, South Africa, Croatia, Nepal, Oman, Ukraine, China, Bhutan, Ghana, Yugoslavia, Nigeria, Netherlands, Vietnam, Thailand, Kenya, Iran, Malaysia, Bangladesh, Pakistan, U.A.E, Saudi Arabia, Monrovia, Philippines, Spain, Liberia , Iran, U.S.A, Canada, Germany, Italy, Jordan, Syria, Turkey, Kuwait, Iran, Algeria, Argentina, Bangladesh, Bangkok, Indonesia, Malaysia, Vietnam, Nigeria, Ghana, Malawi, Egypt, Ukraine, Nepal, Srilanka, Bangladesh, Tibet Lusaka, Egypt, England, UAE, Bahrain, Vietnam, Iran, Poland, Tanzania, Malaysia, Nigeria, Sudan, U.K., Italy, Thailand, Span, Kenya, Lebanon, Kingdom of Saudi Arabia, Sudan, Botswana, Iraq, Thailand, Span, Mauritius, Ethiopia, Congo, Zambia, Namibia, Mozambique, Uganda, Yemen, Somaliya, Oman, Jordan, Turkey, Labia, Morocco, France, Germany, Ukraine, Turkey, Greece, Kazakhstan, Russia, Uzbekistan, Malaysia, Thailand, Singapore, Philippines, Indonesia, Australia, New Zealand, Kerala, Trichy, Banglore, Chennai, Delhi, Jammu, Kolkata, Bhubneshwar, Baddi, Himachal Pradesh, Rajasthan, Pune, Nashik, Dhule, Solan, Kanpur, Coimbatore, Satna, Nagpur, Thane, Wada, Jaipur, Udaipur, Ahemdabad, Ludhiana, Hyderabad, Tamilnadu, Kolkata. 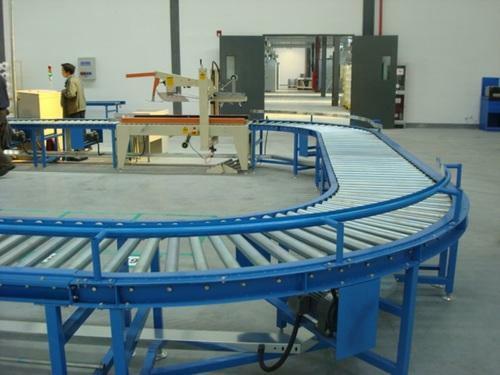 Packing conveyor belt consists of table top and 9" wide PVC coated canvas endless belt at the centre. The table top is covered with SS 304 Sheet and width of the table is 33". It is mounted on SS structure. It is driven by TEFC 1440 RPM "BONFIGLIOLI" make electric motor coupled with suitable reduction gear box. The complete drive mechanism is enclosed in an elegant cabinet. The speed of the belt is 30 ft to 40 ft/min. Electrical Load Depends upon the length of conveyor belt. Height 815 mm with 75 mm Adjustable Height. 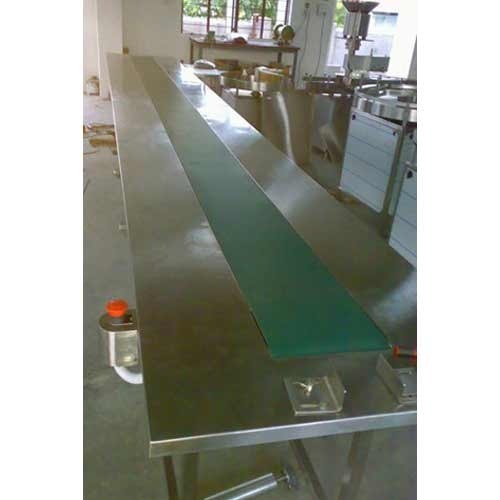 Width Table Top of 12 Working Space on both side of the conveyor Belt. Slat Conveyor We are a leading manufacturer and supplier of a large gamut of premium quality Slat Conveyor . The provided array made available by us includes of premium quality in international standards with precise designing and greater longevity which are sourced from the most reputed vendors of the industry. We are offering to our valued customers a supreme quality range of Troughed Belt Conveyor. Troughed Belt Conveyor Consists of Belt,conveyors as per the layout and application because of its capability of handling higher tonnage overlong distance at lower cost than any other type of conveyor. We have carved niche in the industry by offering an excellent range of Belt Conveyor. 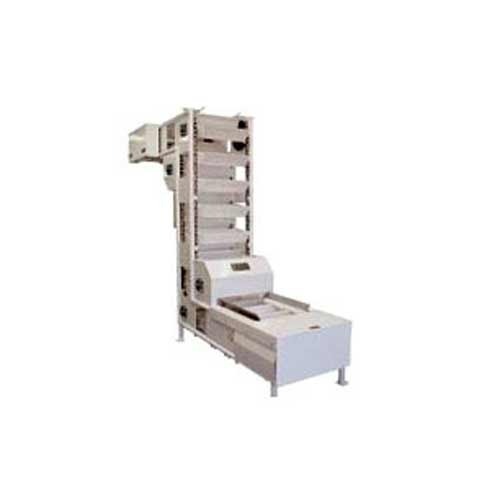 Our offered conveyor is well known in the market for featuring variegated attributes like high efficiency, consistent performance and comparatively low maintenance. 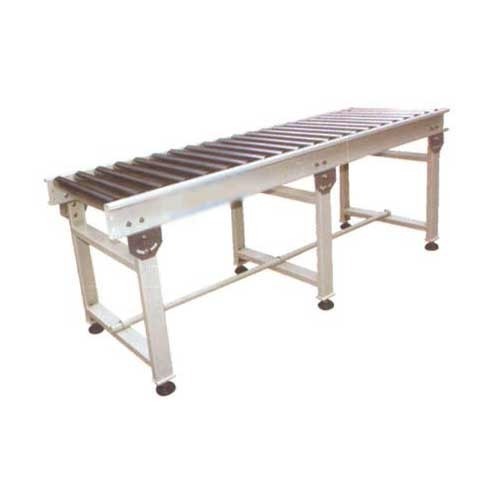 Besides being manufactured using guaranteed components and advanced tools, this conveyor is rigorously tested upon various parameters. Clients can avail the entire range from us at market leading prices. We are a renowned manufacturer, exporter and supplier of top-in-range Belt Conveyor . The provided conveyor is manufactured under the vigilance of our deft professionals using pristine quality components with the aid of innovative techniques at our hi-tech production unit. 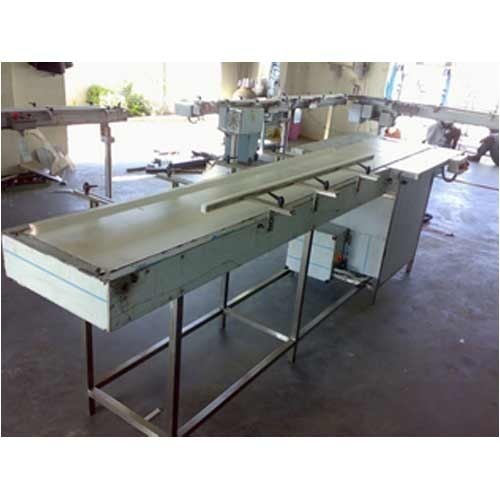 With immense experience in this domain, we are offering a qualitative assortment of Gravity Roller Conveyor. The offered conveyor is extensively used in various industries for efficient handling of material. Our offered conveyor is manufactured using leading-edge technology and high-grade raw materials in adherence to set industrial norms. 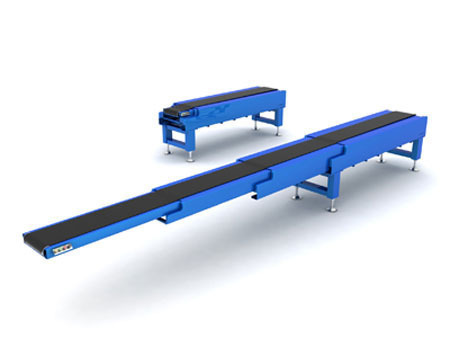 In order to meet clients' variegated requirements, this conveyor is made available in various configurations. 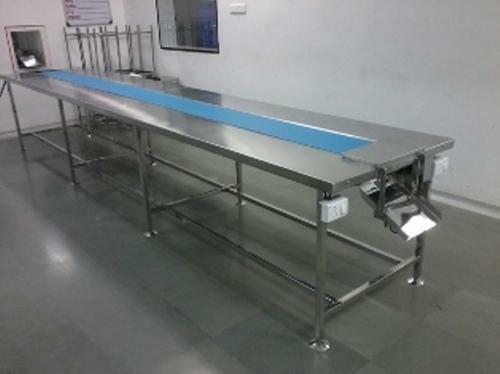 Our organization is recognized in the industry for offering a superb quality assortment of Flexible Conveyors. Our offered range is highly demanded in various industries for transporting material from one place to another. Widely acclaimed by our clients, the offered conveyors are manufactured using utmost-grade raw materials and advanced machines. This range can be availed from us in various sizes and load bearing capacities. Our organization is a prominent manufacturer and suppliers of trusted quality Salt Type Conveyors . 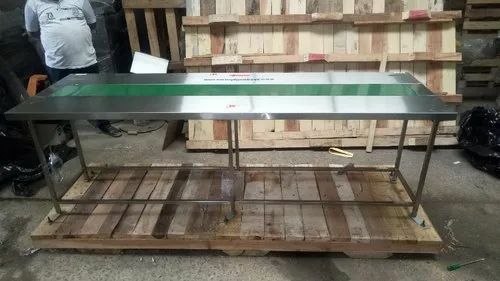 The offered conveyors are widely used in food processing industry for transporting bottles from one section to another for filling fluid. 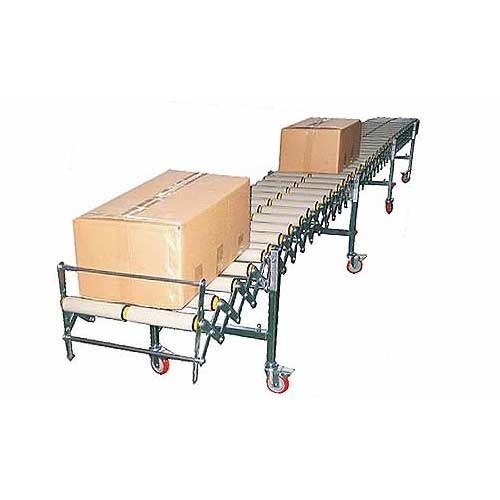 Our offered Telescopic Conveyor is available in varied technical specifications and is widely used in different industry for carrying heavy loads. 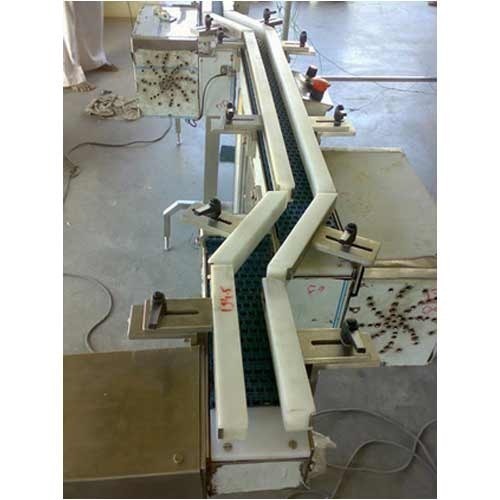 Precisely manufactured, our provided conveyor is manufactured using the best grade components and sophisticated technology at our well maintained production unit. With sincere intentions to preserve and uplift our goodwill in the market, we are offering a distinguished range of Chain Driven Roller Conveyor. The offered range is manufactured using utmost-grade components and cutting-edge technology in accordance with set industrial norms. In line with clients' variegated requirements, we offer the entire product in various configurations and technical specifications. Clients can avail the entire product from us at market leading prices. Looking for “Gravity Roller Conveyor”?